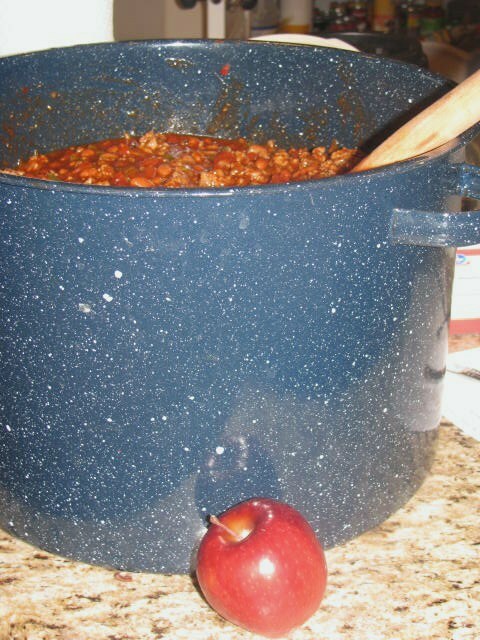 Last night I made chili for a celebration dinner. A lot of Chili. Enough to feed 40 people. Now, that's a lot of beans! It looks delicious! What are you celebrating?